Although the physical and psychological benefits of youth participating in sport are evident, the increasing professionalization and specialization of youth sport, primarily by coaches and parents, are changing the culture of youth sport and causing it to erode the ideal mantra: "It's all about the kids." In" Best Practice for Youth Sport," readers will gain an appreciation of an array of issues regarding youth sport. This research-based text is presented in a practical manner, with examples from current events that foster readers' interest and class discussion. The content is based on the principle of developmentally appropriate practice (DAP), which can be defined as engaging in decisions, behaviors, and policies that meet the physical, psychological, and social needs of children and youth based on their ages and maturational levels. This groundbreaking resource covers a breadth of topics, including bone development, burnout, gender and racial stereotypes, injuries, motor behavior, and parental pressures. Written by Robin S. Vealey and Melissa A. 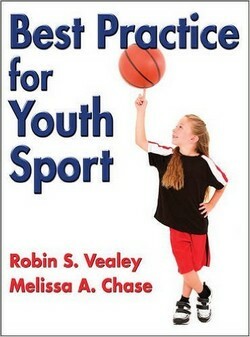 Chase, the 16 chapters of "Best Practice for Youth Sport" are divided into four parts. Part I, Youth Sport Basics, provides readers with the fundamental knowledge and background related to the history, evolution, and organization of youth sport. Part II, Maturation and Readiness for Youth Sport Participants, is the core of understanding how and why youth sport is different from adult sport. This part details why it is important to know when youth are ready to learn and compete. Part III, Intensity of Participation in Youth Sport, examines the appropriateness of physical and psychological intensity at various developmental stages and the potential ramifications of overtraining, overspecialization, overstress, and overuse. The text concludes with part IV, Social Considerations in Youth Sport, which examines how youth sport coaches and parents can help create a supportive social environment so that children can maximize the enjoyment and benefits from youth sport. In addition to 14 appendixes, activities, glossaries, study questions, and other resources that appear in "Best Practice for Youth Sport," the textbook is enhanced with instructor ancillaries: a test package, image bank, and instructor guide that features a syllabus, additional study questions and learning activities, tips on teaching difficult concepts, and additional readings and resources. These specialized resources ensure that instructors will be ready for each class session with engaging materials. "Best Practice for Youth Sport" provides readers with knowledge of sport science concerning youth sport and engages them through the use of anecdotes, activities, case studies, and practical strategies. Armed with the knowledge from this text, students, coaches, parents, administrators, and others will be able to become active agents of social change in structuring and enhancing youth sport programs to meet the unique developmental needs of children, making the programs athlete centered rather than adult centered so that they truly are all about the kids.